Robert Seatter the Head of BBC History visited Television Centre to offer residents an exclusive talk on the history of the building they now call home. 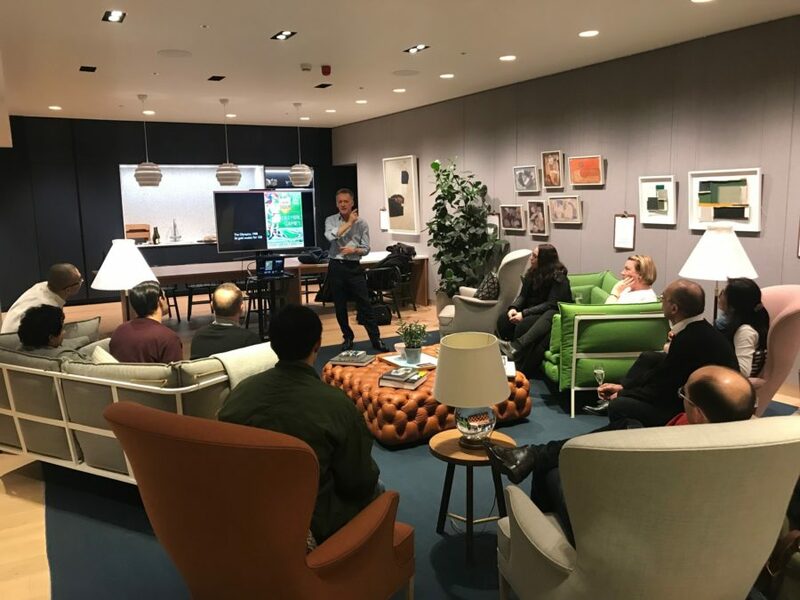 Taking place in the Residents Lounge with complimentary glasses of Prosecco, Robert began his talk offering a brief history of White City, describing its rich history as tourist attraction as well some legends form the 1908 White City Olympics. The talk then went on a whistle stop tour of the last 60 years of Television Centre, beginning with the buildings inception in the 1950’s and journeying through each decade up to the present day, illuminating not only how television reflected the politics of the day but also how television itself helped shape the mood and thoughts of the nation. The night ended with a quiz on famous BBC catchphrases and a Q&A offering residents the opportunity to ask Robert about some of the secrets they now call home.